Firstly, here is a copy of the results. 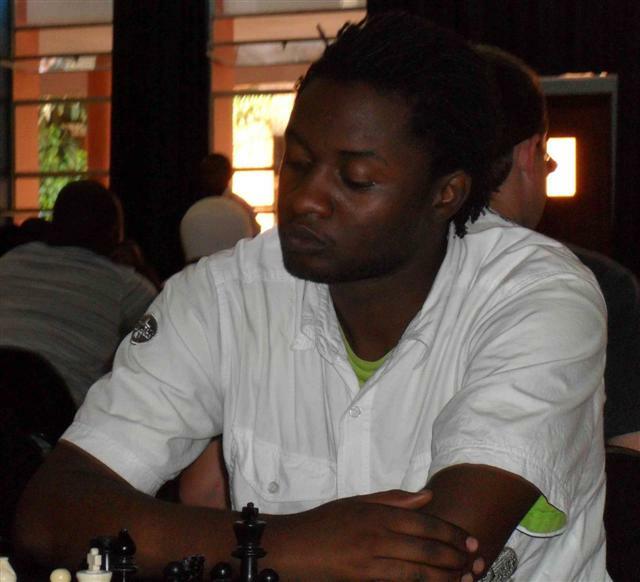 The joint winners, Spencer Masango and Erick Takawira, both from Zimbabwe, drew with each other in round 5, but scored a full house against their other opponents. 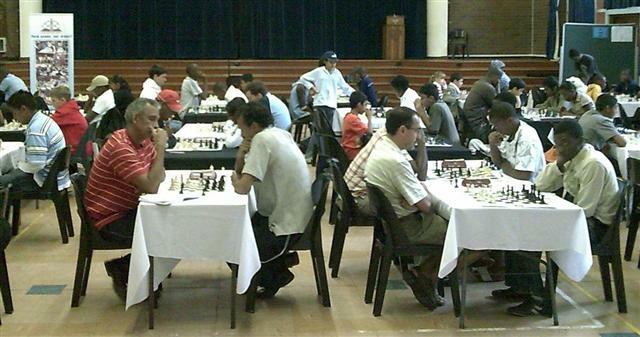 The organisers, led by Peter Dankelmann, were pleased to see an increase in the number of entrants to 102 players. The one thing we did not expect was a power cut before the first round! Fortunately our tournament secretary Charneen Neethling was able to find a nearby friend with power, to print out the pairings for the first 2 rounds. Different players strike different poses when deep in thought. Here we see new Durban CC member York Cleave, followed by the familiar faces of Cheshni Jeena (2008 RSA under 12 girls champion) and Cyril Danisa (2007 KZN champion). 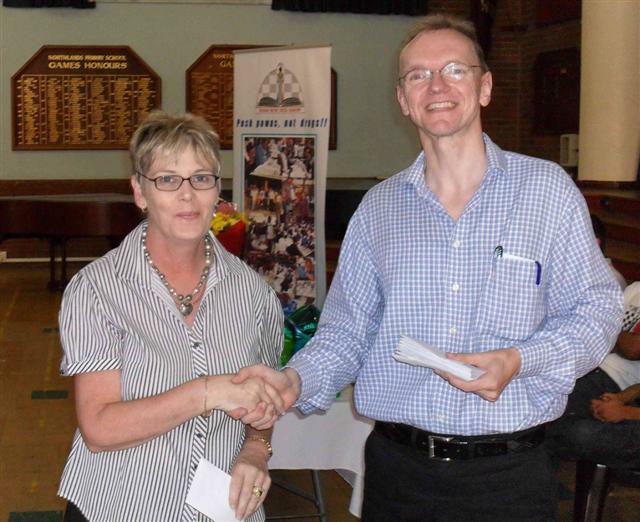 Thanks go to Charneen Neethling from Northlands Senior Primary, which was the venue for this year's championship, and to her son Donovan, who was the Tournament Director. Finally, our thanks go to Kensington Spar for the provision of 3 magnificent gift hampers, which were awarded to the winners of the chess puzzle competition. The puzzles, set by Keith Rust, kept the audience busy in between the last round and the prizegiving. In the photo above you can see young Bahle Danisa receiving his Spar hamper from Keith Rust, with Ashley Lewis and Bongani Mgaga applauding in the background.